Gordy is a playful, mischievous boy. He has a very round head to match his round body and round eyes. 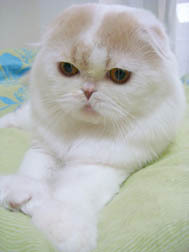 Gordy obtained his Grand Champion status in CFA at the Hamburg NY cat show on April 22, 2007. Gordy now lives in Japan at Foldy Cattery. 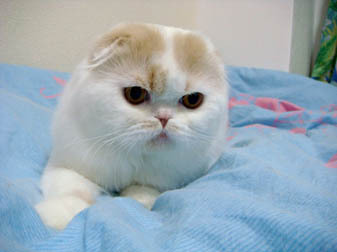 the ideal pet for the loyal cat lover.